This patient came to me wanting a complete smile makeover. He has had numerous fillings over the years. 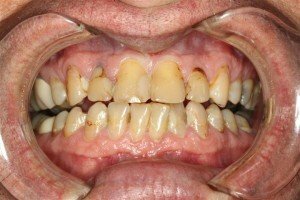 His teeth were severely stained. He is an important executive in a gas and oil business. It was time to get him an award winning smile. 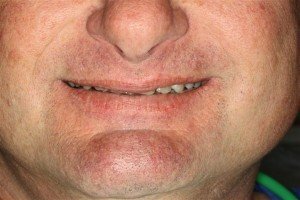 Patient has trained himself to NOT show his teeth. He has mastered pulling his lip down to mask his non-cosmetic teeth. He is super busy with work so we did everything in one day. This was possible with Sedation Dentistry. With oral pills and laughing gas the patient was comfortable during the entire makeover procedure. 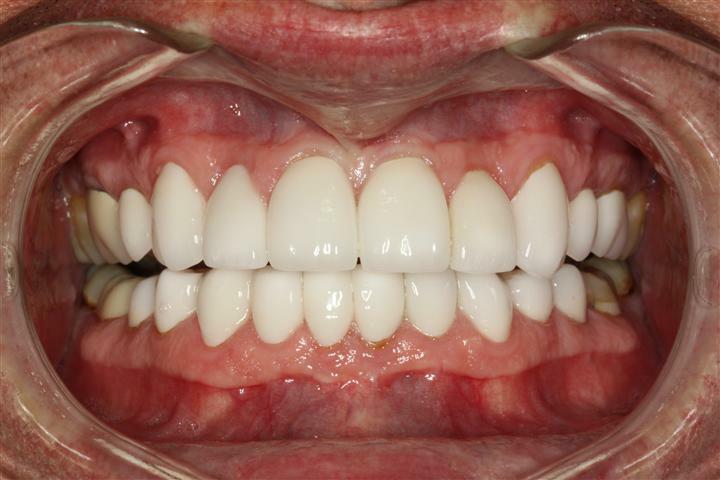 Because of the numerous fillings and their large size all porcelain crowns were chosen to restore this patient’s smile. Beautiful cosmetic dentistry results!! Now the patient has to learn how to smile fully. Years of being embarrassed with his smile caused him to hide his smile with his lip. Now he has a gorgeous new cosmetic smile. 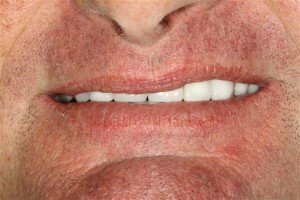 Cosmetic Dentistry can be as easy as teeth bleaching. 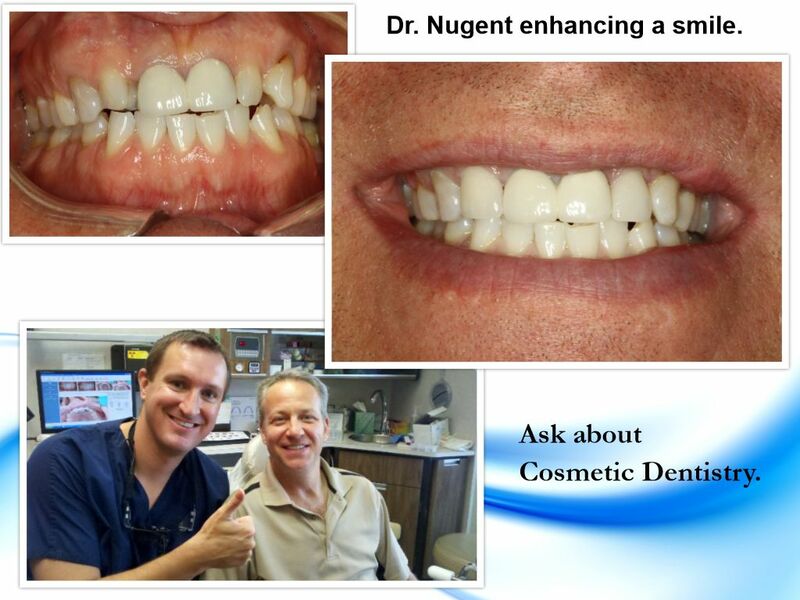 If you have any questions on what cosmetic dentistry can do for you talk to Dr. Nugent. Our office is located at 3421 Burke Rd Ste A, Pasadena Texas. Get the best in Cosmetic Dentistry. See why Dr. Nugent is the highest rated dentist in Pasadena.